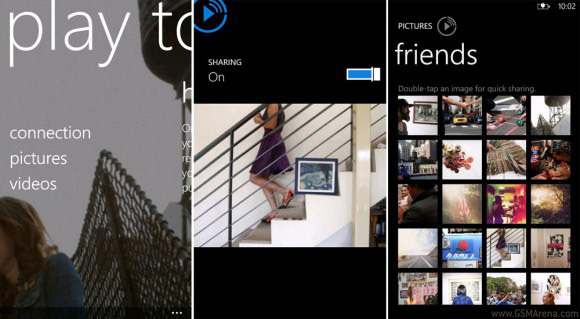 If you like being a guinea pig and you’re a fan of Nokia, there’s every chance you’ve already signed up to Nokia’s Beta Labs and the latest app to enter this unique testing area is Nokia Play To, which is hoping to make it as the native DLNA client that’ll grace the Lumia Windows Phone family. The Play To app already offers the ability to throw pictures, movies and music onto various connected devices around the home, with plans for Media Server support in the near future adding Xbox 360 and PS3 friendly functionality in due time. Along with the current lack of Media Server support, Sony BRAVIA internet-connected TVs don’t appear to play ball with Play To either and high resolution videos are said to stutter in the current incarnation of the app. These flaws are expected however as it’s not called Beta Labs for nothing. DLNA technology is nothing new of course, but as with similar services seen from the likes of HTC in the form of Media Link, Nokia know that it’s an increasingly popular piece of functionality on modern smartphones, and one which they would be foolish to overlook. Nokia are saying that console support is next on the agenda and with such an addition, popularity is like to grow at an ever-quickening pace. You’d think Microsoft would have been the ones to push this functionality to market first, but Nokia have beaten them to it by the looks of it, adding yet another string to their Windows Phone bow in the process. Follow this link if you’re a registered Beta Labs user itching to add your input to the process or to sign up and get involved.